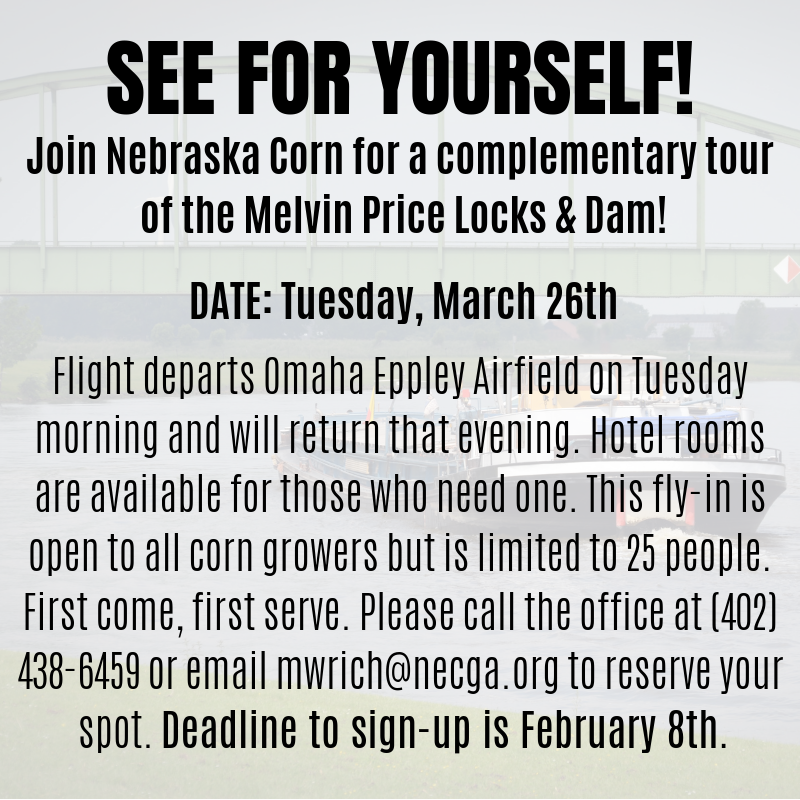 Join Nebraska Corn for a complimentary tour of the Melvin Price Locks and Dam as well as the Bunge Shuttle Loading Facility along the Mississippi River. This trip is open to all corn growers, but space is limited. If you are interested in participating in this day tour, please call the NeCGA office at (402) 438-6459 or email Morgan Wrich, Director of Grower Services, at mwrich@necga.org. The flight to St. Louis will leave from Omaha at 6:20 AM on Tuesday, March 26th. Hotel rooms are available in Omaha for those who would prefer to drive in the evening before. RSVPs for this day tour are due February 8th!